One of the pillars of the of the taxation proposals included in the Finance Minister's budget speech for 2015-16 was extension of benefits to the middle class. In this process the Finance Minister announced extension of certain benefits in respect of medical treatment under section 80DDB. 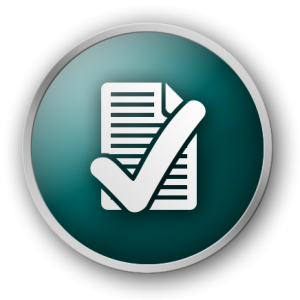 This section allows a deduction for expenditure incurred on treatment of specified ailments. 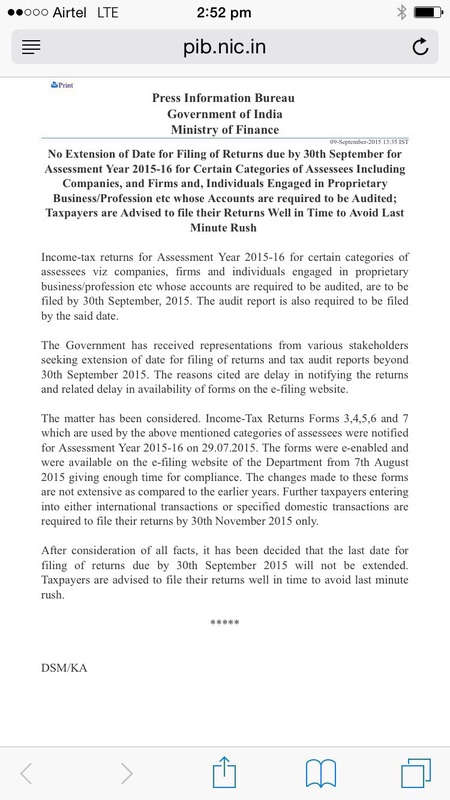 The Notification is available on the website of the Income Tax Department www.incometaxindia.gov.in. 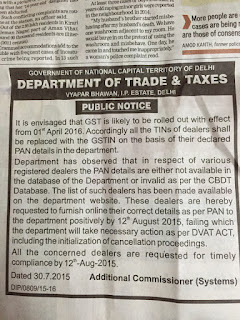 Department of Trade & Taxes Delhi, has notified a scheme dated 08-10-2015 introducing an award scheme for the general public " Bill Banvao Inaam Pao"
The scheme would be for Bill/ Cash Memo /Retail Invoice of purchases made from a registered dealer in Delhi. (i) Whether the disclosure was voluntary or given under coercive circumstances. Conclusion: The contentions raised by ld. 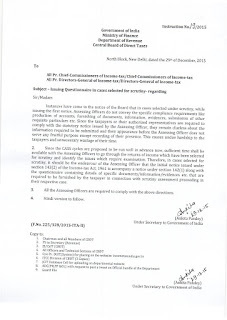 Counsel for the assessee lead to a clear inference that the disclosure of the assessee cannot be regarded as voluntary. The pressure of restrained DDs. 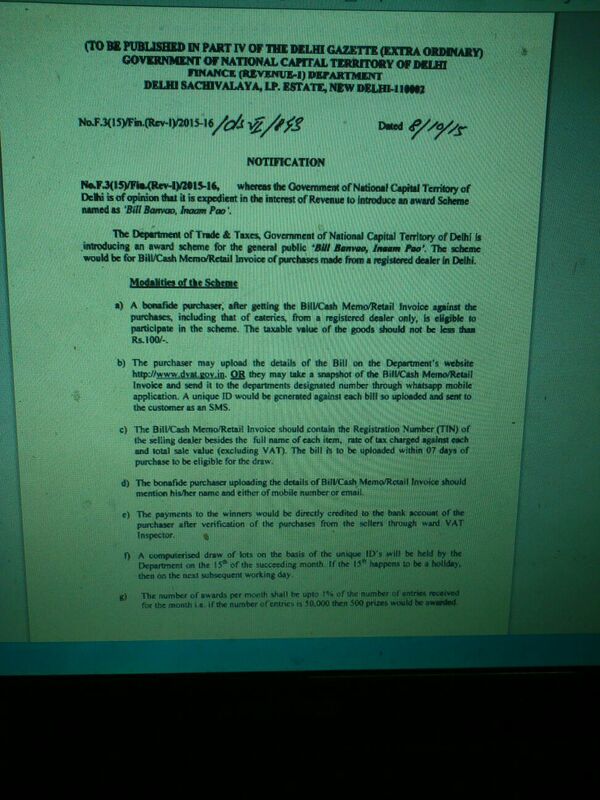 of 31.48 crs. 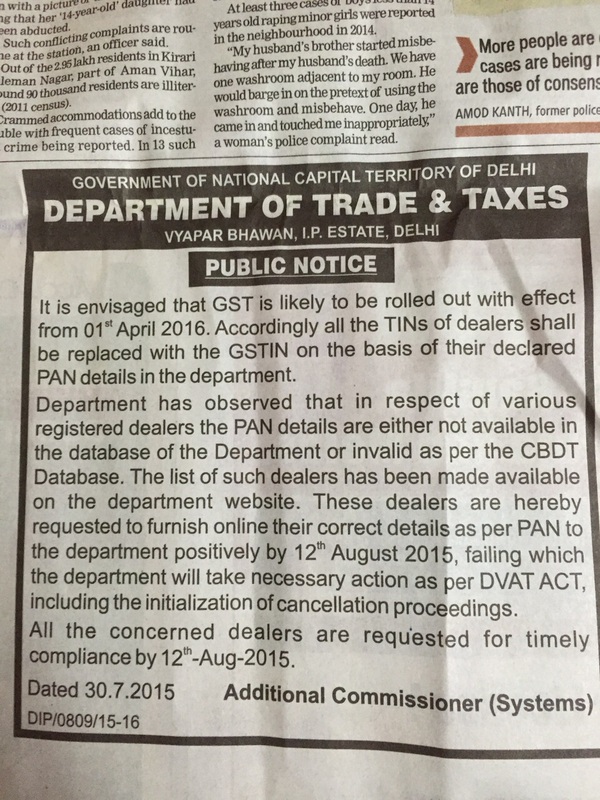 against a disclosure tax liability of about 7 crs is palpable. It has the propensity to derail the business and creating enough pressure for businessmen to somehow avoid the pressure. Besides the chronology of events and attendant circumstances do not convince us that this summary disclosure was voluntary and on the scale of merit it can override the other facts. Consequently we have no hesitation in holding that the solely relied disclosure was involuntary. In these circumstances the desirability of additions is to be judged on other facts and circumstances. Reliance is placed on Hon'ble Rajasthan High Court in the case of CIT v. Ashok Kumar Soni 291 ITR 172 for the proposition that admission in statement during search proceedings is not conclusive proof. Besides Hon'ble Supreme Court in the case of Pullangode Rubber Produce Co.vs. 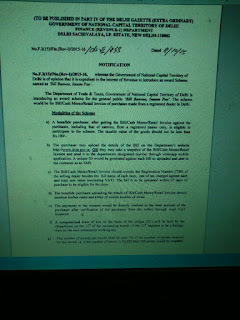 State of Kerala 91 ITR 18 has also held so that such statement can be explained in the light of correct facts. (ii) Whether in the light of CBDT instruction dtd 10-03-2003, search proceedings and assessment can be based incriminating material and not on such disclosures. Conclusion: A perusal of the CBDT instruction reveals that even Board is aware of such laconic disclosures and expects its officers to rely on incriminating evidence. Thus CBDT also is not in favor of search assessments being based only on such disclosures; it wants them to be based on incriminating material. 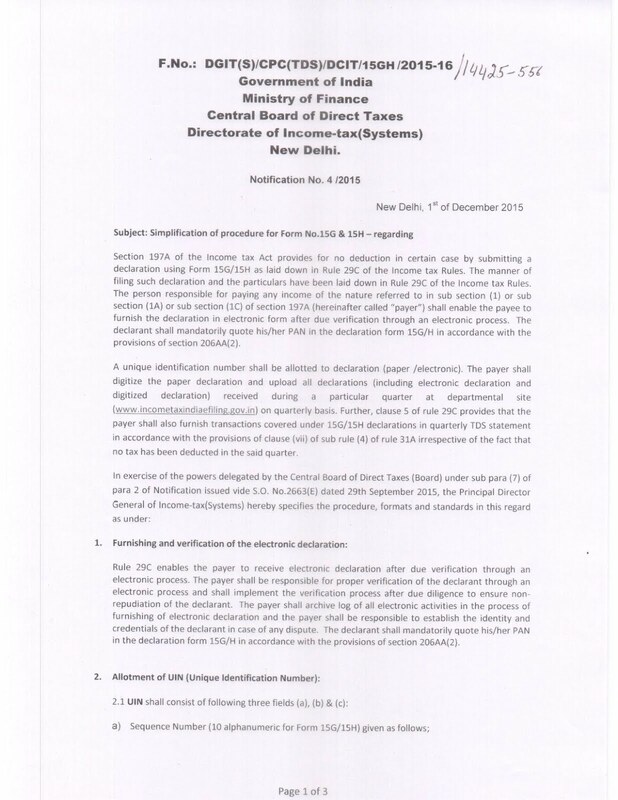 In view the facts, circumstances, CBDT instruction and various case laws relied on by the assessee we are unable to uphold the additions solely on the basis of disclosure which doesn't meet the eye and have been held by us to involuntary. (iii) Whether the additions are based on any incriminating material discovered as a result of search in terms of sc. 153A. Conclusion: There is no reference to impugned additions being based on any worthwhile incriminating material or evidence except raising some suspicions. The sole basis of additions in both cases is proposed to be the disclosure. Consequently the additions made are not as a result of any material found during the course of search, in view thereof impugned additions cannot be sustained as they do not conform to mandate of sec. 153A. 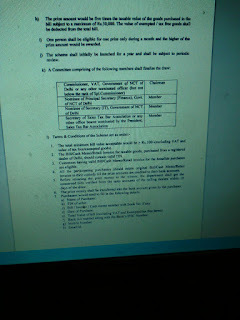 (iv) Whether the assessees furnished proper explanation about the bank a/c and and transactions. 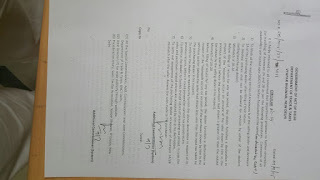 Conclusion: As the facts emerge the Corporation bank a/c belonged to Raghubir, the proceeds deposited therein came to him through banking channel on account of agreement to sell his share in ancestral land to G P Realtors not connected to assessees….. As the final disclosure remained at 20 crs., assesses to avoid the harassment agreed for its inclusion as it did not take the tax liability any further. Apropos departments contention that why assesses did not tell this in first blush assessee has demonstrated that they requested for some time to verify from parties who cooperated. 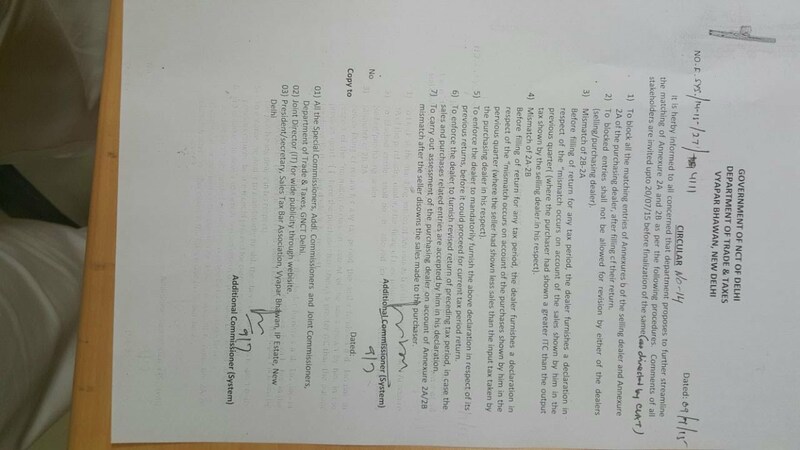 The affidavits, bank certificates, documents relating to G P Realtors including compromise deed all corroborate the assesses contentions. Therefore no adverse inference or addition can be drawn against assesses in this behalf. (v) Whether on merits the impugned additions can be made in a search assessment u/s 153A which is meant for assessment of undisclosed income consequent to search proceedings. Conclusion: By detailed observations we have held that neither any worthwhile incriminating material, information, and evidence was discovered as a result of impugned multiple search operations nor the additions sustained are based on any such material. The sole basis of additions is the disclosure which we have held to be involuntary. Consequently the additions do not conform to the mandate of sec. 153A. 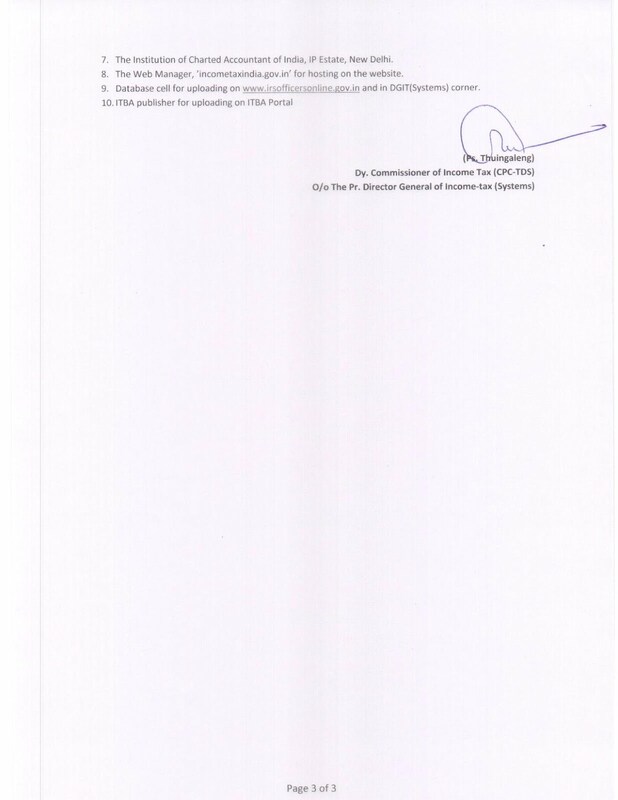 Amendment in section 200A by Finance Bill 2015 w.e.f. 01-06-2015. But w.e.f. 1-6-2015 as per Sec. 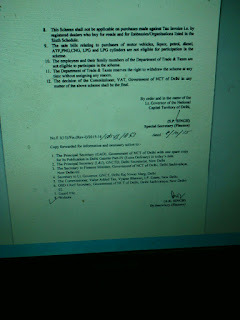 200A income tax department can levy late fee U/s 234E @ Rs. 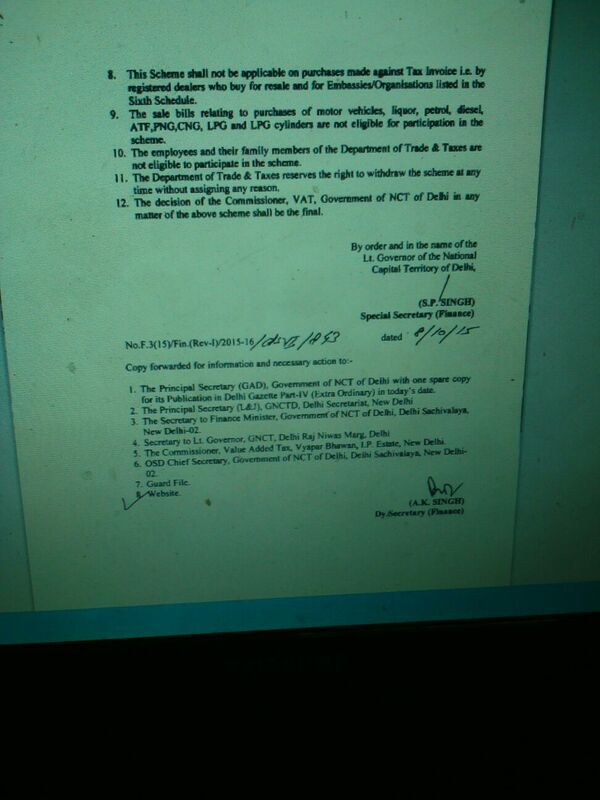 200/- per day on delayed filing of TDS return. Therefore if any late fee is levied before 1-6-2015 appeal can be filed for this or rectification application U/s 154 can be filed to get it cancelled. Even if due to mistake any late fee U/s 234E is paid then refund will be granted of such excess late fee. 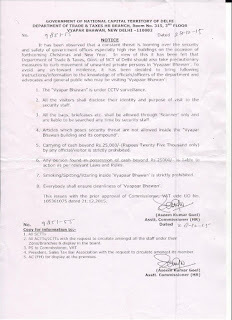 ITAT Amritsar has given a decision on this subject. Before going to the decision, first we are reproducing the amendment in section 200A wef 01.06.2015 . 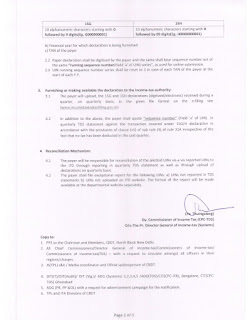 (e) an intimation shall be prepared or generated and sent to the deductor specifying the sum determined to be payable by, or the amount of refund due to, him under clause (d); and (f) the amount of refund due to the deductor in pursuance of the determination under clause (d) shall be granted to the deductor. 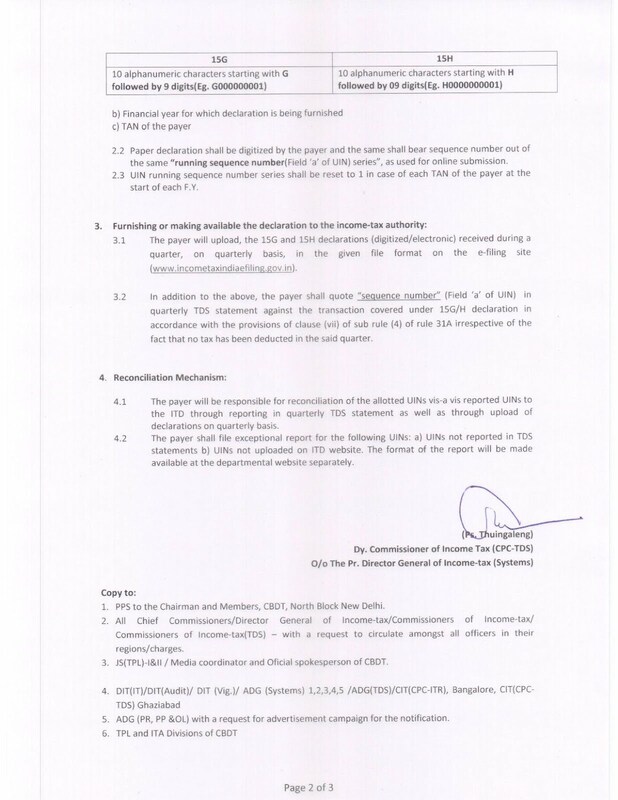 So clause (c) was inserted only wef 01.06.2015 and prior to 1st June 2015, there was no enabling provision in the act for raising a demand in respect of levy of fees under section 234E. Now ITAT ,Amritsar in the case of Sibia Healthcare Private Limited Vs. Dy. 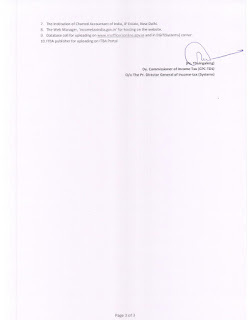 Commissioner of Income-tax (TDS) I.T.A. 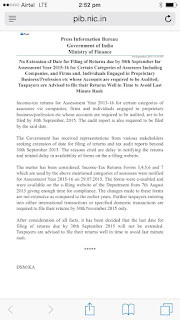 No.90 /Asr/2015 dated 09.06.2015, has given a Decision on section 234E of Income tax act on Late Fee on late filing of E TDS return. In view of the above discussions, in our considered view, the adjustment in respect of levy of fees under section 234E was indeed beyond the scope of permissible adjustments contemplated under section 200A. 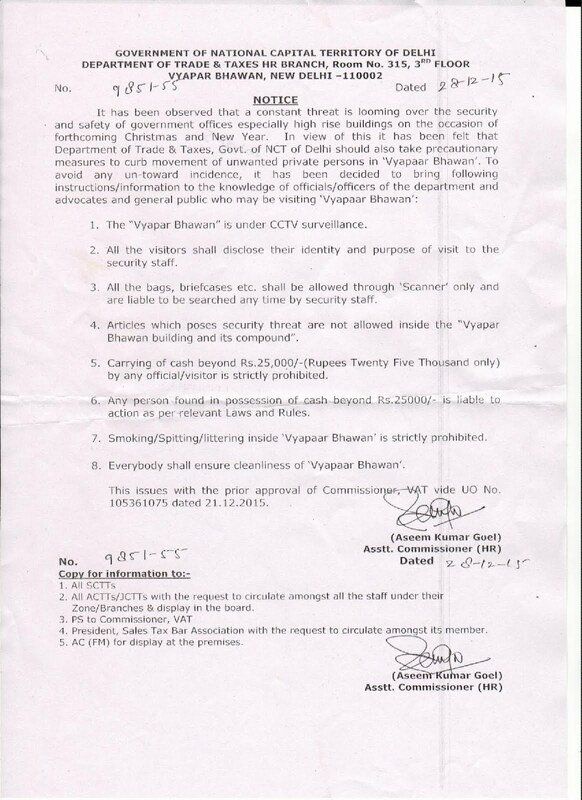 This intimation is an appealable order under section 246A(a), and, therefore, the CIT(A) ought to have examined legality of the adjustment made under this intimation in the light of the scope of the section 200A. Learned CIT(A) has not done so. 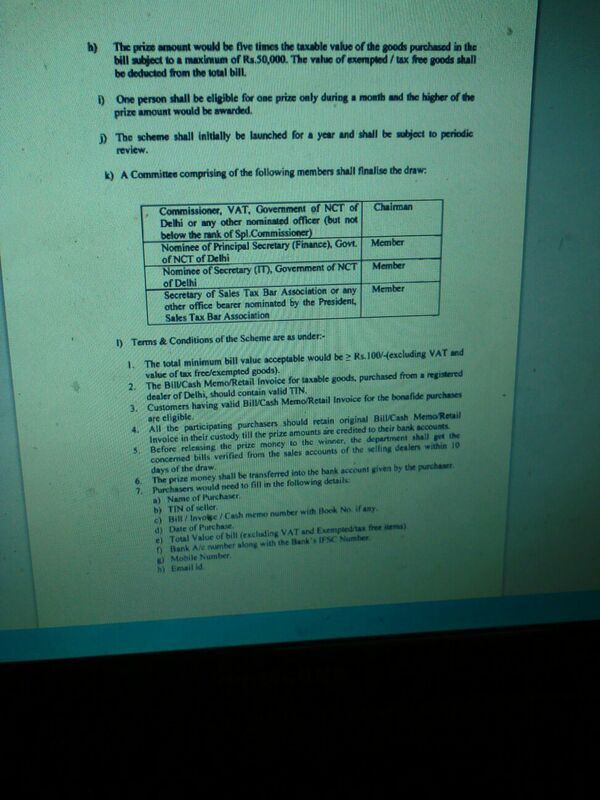 He has justified the levy of fees on the basis of the provisions of Section 234E. That is not the issue here. The issue is whether such a levy could be effected in the course of intimation under section 200A. The answer is clearly in negative. No other provision enabling a demand in respect of this levy has been pointed out to us and it is thus an admitted position that in the absence of the enabling provision under section 200A, no such levy could be effected. 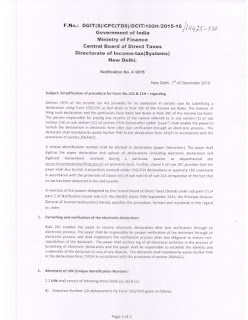 As intimation under section 200A, raising a demand or directing a refund to the tax deductor, can only be passed within one year from the end of the financial year within which the related TDS statement is filed, and as the related TDS statement was filed on 19th February 2014, such a levy could only have been made at best within 31st March 2015. That time has already elapsed and the defect is thus not curable even at this stage. In view of these discussions, as also bearing in mind entirety of the case, the impugned levy of fees under section 234 E is unsustainable in law. 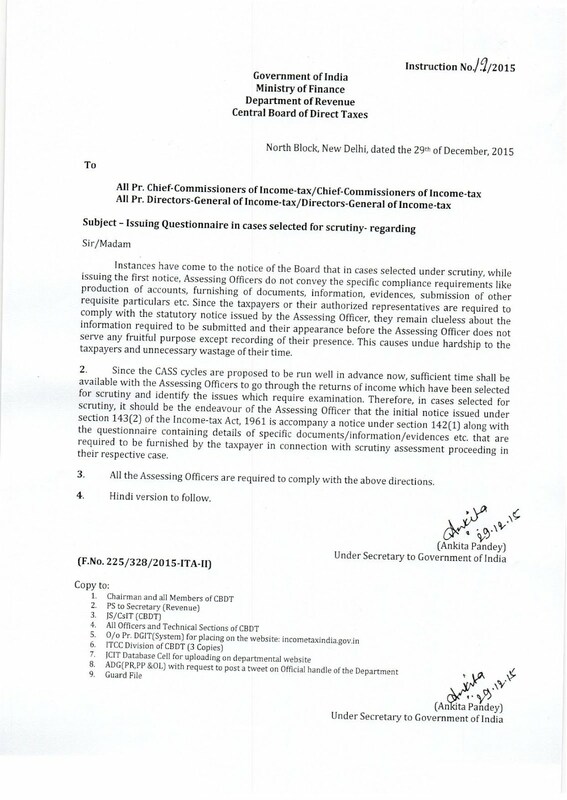 We, therefore, uphold the grievance of the assessee and delete the impugned levy of fee under section 234E of the Act.